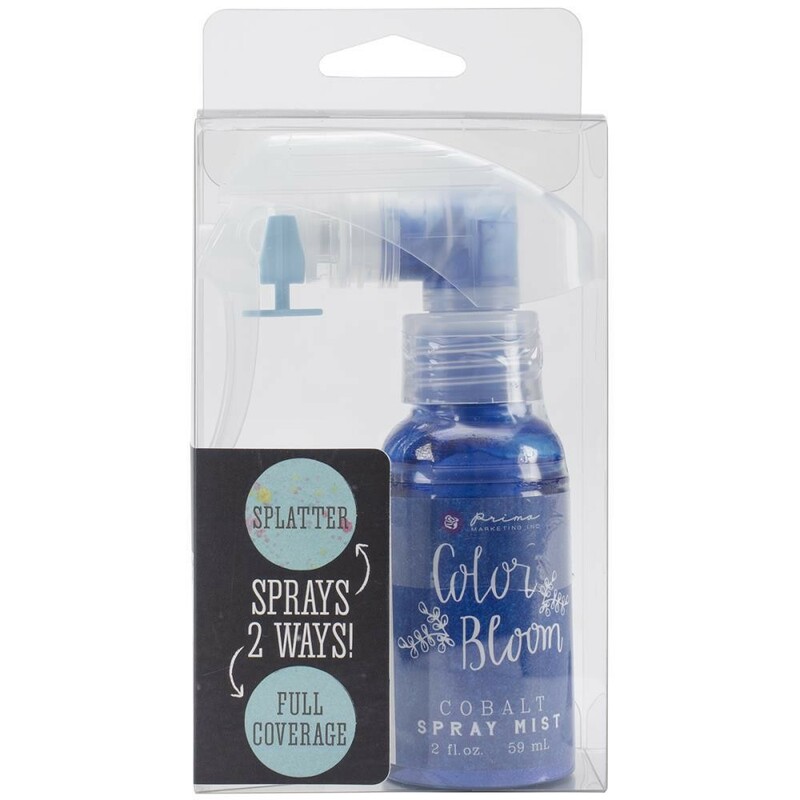 Prima Marketing-Color Bloom Spray Bottle. Create vintage, sultry or sparkling looks to your crafting projects! It is refillable, has a high velocity trigger and an anti-clogging nozzle that allows the mica shimmer mist to be sprayed in two different ways for two different effects. Creates a full, even coverage for an allover color and splatter to give dimension and texture. This package contains one 2oz spray bottle of spray mist. Comes in a variety of colors. Each sold separately. Acid-free and non-toxic.